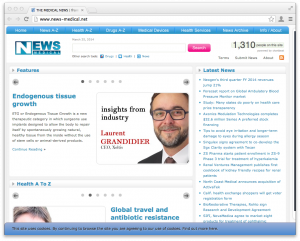 On its front page, News Medical features an interview with Laurent Grandidier, CEO of Xeltis. The interview provides insights into Endogeneous tissue growth, a new therapeutic category, and development plans for Xeltis. Click here for more.